Every once in a while, I dig around the internet, turning over stones and looking for new and interesting tidbits about Josef and his associates. This morning I came across a January 2015 BBC article entitled "English murder mysteries that have baffled detectives". Naturally, the article included the case of Bella in the Wych Elm. The article mentioned the usual suspicions that the deceased woman had been a German spy. But this article had an interesting tidbit of information. 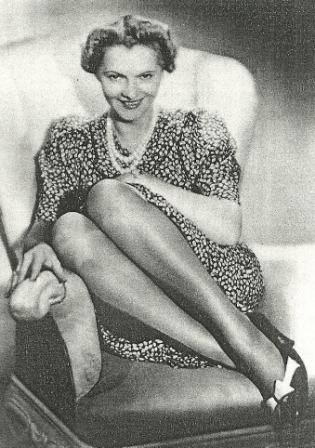 The publication of MI5 files detailing the capture of a German spy [Josef Jakobs] with a picture of the actress Clara Bauerle in his pocket led to speculation last year Clara was Bella. But author Piu Marie Eatwell, who is researching the case, dismissed the theory, highlighting the women's different descriptions and that Clara lived after 1943. She said her own research had found a lot of police files associated with the case were missing. My researcher antennae perked up at the mention of another author who has been researching the case of Bella in the Wych Elm, and its connections with Clara Bauerle. Particularly since Eatwell had come to the same conclusion that I had. A bit more searching and it appears that author Piu Marie Eatwell has written a book about Bella in the Wych Elm, but one that has yet to be published. Unfortunate, as it sounds like a very good read.